A friend of the family who works in construction tells me about the ordeal he has to go through lately to get a few bags of cement. As a result, some of the projects he’s involved have been delayed for weeks. He’s not alone. Cement and other construction items are pretty scarce in the domestic market and for those who find them have to pay way more than the regulated price. But now, the lack of those items are now used as a mechanism of political punishment. Ayacucho Municipality (in Táchira State) has seen 65 of its projects brought to a halt because they can’t source cement. But that’s not the worst part: the local Mayor, Miguel Chacón, is from the opposition. He says that the National Guard is pressuring businesses to refuse to sell them cement as a form of political retaliation. Next door, the town of Michelena faces the same predicament and its mayor Fernando Andrade (who’s also from the opposition) said that the municipality must travel out of the state to get cement. Beside those cases, cement has become a valuable commodity for smugglers here at home and across the border with Colombia. 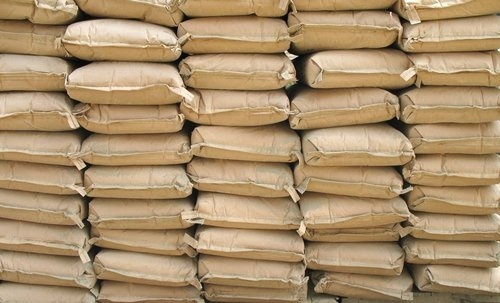 Industries Minister Ricardo Menéndez said that last year’s domestic production of cement broke all records. But demand from the G.M.V.V. public housing program overwhelmed such rise, and the government had to strike new deals with four countries (one of them Colombia) to buy cement and other materials so it could keep its work on schedule.